Prepared to Work. Determined to Succeed. Read the inspiring stories of the people whose lives have been changed by STRIVE - and the people who make STRIVE possible. 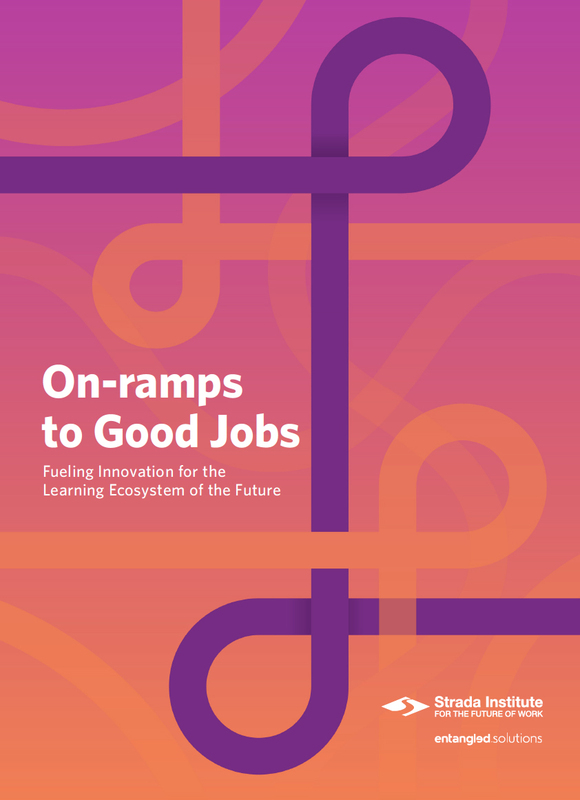 The Strada Institute for the Future of Work and Entangle Solutions released a report in January 2019 about an emerging category of career “on-ramp” programs which boost skills, employability, and earnings for adults without a degree who earn less than $25,000 per year. Our Vision is for everyone to have the opportunity to achieve economic self-sufficiency, dignity, and a promising future for themselves and their families. Our Mission is to help people acquire the life-changing skills and attitudes needed to overcome challenging circumstances, find sustained employment, and become valuable contributors to their families, their employers, and their communities. While the country’s unemployment rate has declined since the recession, it remains persistently high in underserved communities. Historical pathways to the middle class have been quietly eroding for many families, particularly those born into poverty. This trend has led to widening gaps in education, income, and wealth, which in turn, threatens to undermine our nation's bedrock principles of justice and opportunity for all. At the same time, employers nationwide are facing a skills gap. Industries in the United States are experiencing rapid growth in middle-skill occupations, but are having difficulty finding individuals that are qualified and ready to work. STRIVE offers a solution that benefits employers and participants alike: in-demand occupational skills training, reflective of local employer needs. STRIVE’s signature program is our CORE workshop, an intensive four-week “soft skills” training in workplace readiness, responsibility and professionalism. After graduating from the workshop, participants progress to vocational training in one of several career pathways aligned with local labor market demand and employer needs. Training results in the acquisition of one or more industry-recognized credentials. Beginning in CORE training, all STRIVE participants receive intensive case management to address obstacles that stand in the way of their success. STRIVE’s Career Services team forges relationships with employers and assists our graduates in securing jobs that are a good match with their skills and interests. STRIVE graduates receive active follow-up and retention services for two years after graduation. Many STRIVE alumni return for second and third placements as they pursue higher wages. To learn more about STRIVE, email us at info@strive.org or call us at (212) 360-1100.